Various treatment methodolgies typically prescribed to sufferers of Golfers Elbow. Once your medical professional has diagnosed your condition, they will be able to recommend the most effective treatment for your golfer's elbow injury. There are a variety of options available depending on the severity of your injury. During your recovery, you will probably have to modify and/or eliminate any activities that cause pain or discomfort in your elbow area until your pain and inflammation settle. Scar tissue will often develop as a result of a golfer's elbow injury once acute inflammation begins to decrease. As your damaged arm tissues heal this dead, fibrotic tissue will develop instead of forming brand new healthy tissue. This tissue adheres to your muscle fibers, tendons, ligaments, fascia, nerves, and joints causing pain and preventing them from moving properly (this limits your range of motion, flexibility and strength). Often you will notice a great improvement within 6 to 12 weeks; however it can take many more months to return to normal. The more diligent you are with your treatment and rehabilitation, the faster you will see successful results. If you start using your arm before it has a chance to heal properly (even though it may feel better), you can end up doing a lot more damage than good! It is generally understood by doctors and surgeons, that surgery will introduce more scar tissue into the elbow tissue. This added scar tissue will be problematic, requiring physical therapy and conservative treatment options post-surgery. If not dealt with properly, your elbow and tendon tissue could end up in worse condition than before the surgery! This is why surgery is only performed as a last resort. Most doctors, physicians and orthopedic specialists will recommend conservative therapy for minor elbow injuries before considering surgery. For acute (new or recent) elbow injuries that have the ability to heal on their own - your doctor may even suggest use of a removable sling. This can be helpful to prepare you for physical therapy sessions and mobility exercises. However, prolonged use of a sling or long-term rest (restricted movement) without proper exercise or stretching can make your elbow condition worse (and also affect shoulder mobility). If your arm remains completely immobilized and at constant rest, the edges of your soft tissue tear will begin to fill in with scar tissue as part of the healing process. You may also have on-going symptoms of pain, swelling, inflammation, and even poor blood flow circulation. In some cases, physicians may recommend drugs or medications like NSAIDs (non-steroidal anti-inflammatory drugs) to manage pain and inflammation. Alternative medications like cortisone injections will help only with symptoms and not dealing with the actual tissue damage. It is designed to reduce inflammation, by slowing down the blood flow to the area that is trying to heal your injury. Yes, you may have pain relief, but at the high cost of re-injury or your tendon injury is healing at all! Before surgery is even considered, your physician will advise many months commitment to a conservative therapy program at least 6 consecutive months. Why so long? Your doctor will encourage you to stick to your at home treatments, your body has the ability to heal all on its own. In most cases time is needed for the tissue to form and be healthy enough to cope with our busy lifestyles. Surgery is only the last resort for the elbow! This is because the elbow joint is very flexible and the skin is thin. This flexibility stretches the tissue and lack of blood flow makes damage to the tissue very hard to heal. Cold Therapy Treatments, Deep Tissue Regeneration Therapy, and Physical therapy will prepare your elbow for surgery. Strengthening your arm before surgery will give you the best chance for a successful recovery. Surgery is not the end of the journery with your elbow recovery, but another new chapter that has it's own challenges. You may not return your arm to the complete function and range of motion you had before. After surgery, you will undergo another 6-12 months of conservative therapy to help heal your arm. Your doctor may encourage you to use a brace if you are active. The brace gently adds compression to the muscles in the forearm to support the tendons in the elbow. Most physicians caution you in not wearing the elbow brace too frequently, as it becomes easier to overuse the joint before elbow tissue is allowed the time to heal. In some cases, prolonged use of a brace may cause increased secondary conditons such as pinched nerves and interruption to the blood flow to the joint. Physical Therapy is a very helpful way to decrease pain in the soft tissue, restore strength to atrophied muscles and improve elbow, forearm and wrist strength and mobility. Your physical therapist will start you on a program will be tailored for your golfer's elbow injury. Once your pain starts to reduce, a physical therapist will also set up an individualized arm and shoulder strengthening and stretching exercise program for you to perform at home or in the gym. This will be based on your needs and abilities, and will help you return to performing your normal routines. As you start to return to your activities, it is good to gauge how well you are using your arm in these activities to determine if you can decrease stress on the injured tissue. This may involve changing your technique for sports, for example using a shorter backstroke when golfing, or using larger golf grips. You may also need to change equipment you use at your job, home or even drive your car to help you perform tasks more effectively and safely. More frequent short breaks (and even stretches) at work are usually very helpful, as this allows your body a chance to relax and take some strain off your stressed soft tissue. It is important to speak with a medical professional or occupational therapist to get more information about proper equipment, procedures and tools necessary for the specific activity you participate in or the office/work setting you work in during your normal daily life. 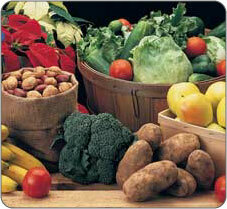 The best way to manage the health of your body is to understand the tools for a healthy lifestyle. Using proven conservative treatments, alternative therapies, protection, and self-management (diet, rest, exercise), you can proactively manage your own recovery. Your lifelong health depends on your commitment to living a healthy and safe lifestyle. 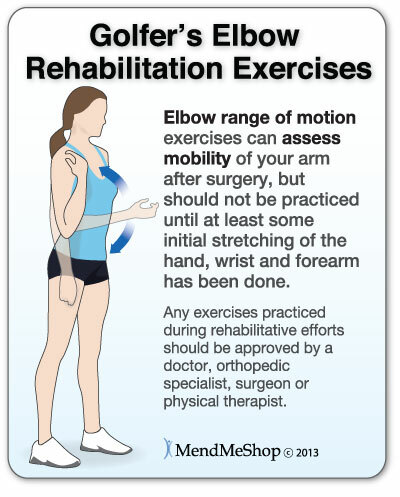 You may have to modify some of your activities or movements during your recovery to ensure the long term health of your elbow. Even if you are already feeling less pain and greater mobility, you need to continue with your treatment plan. Until your elbow is healed, you are still at risk for further damage. Keep in mind, the longer you wait to treat your Golfer's Elbow injury, the greater the potential for re-injury or for permanent damage to occur. Most often, Golfer's Elbow happens when you ignore your body's warning signs. Masking pain and immobility or continuing strenuous repetitive movements will cause micro tears to form in your tendons. If your body is not given a chance to heal, scar tissue will form - this weak, inflexible tissue will cause chronic Golfer's Elbow symptoms that include constant pain and functional restriction (meaning you can't use your elbow as well as you could before). Most cases of Golfer's Elbow are completely treatable by conservative therapies. If you want to continue to enjoy your activities, sports, or have a physically demanding job, committing yourself to a conservative treatment routine, as soon as possible, will increase your chances of a full recovery. Your initial treatment should involve decreasing any swelling, relieving any pain and stress on the elbow, correcting any bio-mechanical dysfunction, and then restoring strength and mobility to your injured elbow. It's also very important to follow any instructions you receive from your physician. Allowing your elbow to rest is recommended following injury, however, some careful arm movement is required to prevent the joint from freezing and losing range of motion. See your doctor or physical therapist for stretches that will not cause further injury to your elbow. Avoid activities that may have caused the injury or irritation and begin cold compression treatments as soon as possible. The trick to healing your injury and getting your elbow back in the best possible condition you can is getting it to heal with minimal scar tissue - something our Elbow T•Shellz Wraps are great at! Even with optimum healing, there is always less elasticity in previously injured tendons, muscles and ligaments. However, if you heal your tissue properly and treat scar tissue build up, your chance of re-injury or chronic elbow conditions later on is much lower than average. There are healing tools that can help treat your elbow or forearm tendon, bursa, or other soft tissue and speed up the healing process so you can get back to a life without pain and risk of further injury. Deep Tissue Regeneration Therapy (via the T•Shellz Wrap®) will help minimize scar tissue by accelerating the healing rate of soft tissue. 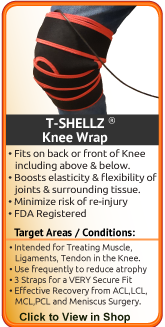 The T•Shellz Wrap® will promote blood flow to heal your tendons and muscles faster and more completely than any other conservative home treatments available. Although steroid injections may provide temporary relief from the pain of golfer's elbow, tendinitis, bursitis, and other injuries they should generally be avoided as they weaken the tendon and may lead to a rupture. 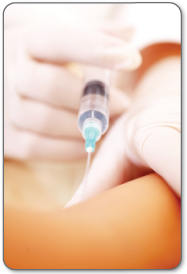 If you do opt for an injection, doctors usually recommend that you do not participate in strenuous activities for several weeks to reduce the risk of a rupture. About 85% of people with tennis elbow or golfer's elbow experience pain relief within 12 months of starting their preliminary treatments. A tennis elbow or golfer's elbow injury will usually heal without surgery. However if you continue to suffer from persistent pain, weakness or recurring inflammation after trying the above conservative treatments, you may require a surgical option. Although rare overall, this is more common in tennis elbow than golfer's elbow. The type of surgery you require will depend on the size, shape and location of your injury. This will be completed through day surgery; however it will require extensive rehabilitation utilizing the preliminary treatments noted above. Physical therapy and strengthening normally begin about 6 weeks after surgery. Your surgeon should provide a treatment plan to help you regain normal use as soon as possible. Speak with your physical about using the Elbow T•Shellz Wrap® for reducing your post-surgery recovery period. Your surgeon may repair tears or remove damaged tissue. They may have to cut the tendon at its attachment to the epicondyle bone and remove a small portion of the bone to increase blood flow to the area. There are always some risks associated with any surgery, which include but are not limited to possible infection, allergic reaction to medications, and damage to surrounding nerves or blood vessels. However, modern techniques have significantly minimized the occurrence of these problems. Tenderness, pain, stiffness and weakness are very common after surgery, but with proper rehabilitation these should diminish. Although surgery is often successful at repairing any damage and/or relieving pain, it does not necessarily return strength to your elbow or forearm. That is why a strong commitment to rehabilitation is essential. Healing and recovery time is generally dependent on the extent of your injury, your age, pre-injury level of function, and your commitment to rehabilitation. Know that if conservative treatments are the right option for you, then consider dealing with your therapy seriously by incorporating the use of an Elbow T•Shellz Wrap®. In order to live a healthy lifestyle, it is important to manage your weight, diet, and level of exercise. Self-management of your health will result in lifelong benefits. Information Seeking and being Proactive are key tools to understanding and maintaining your body. It is important to keep a positive attitude and to always seek the guidance of your physician if you have any questions or concerns about your health. Being overweight or underweight, places unnecessary stress on your body. These stresses can reduce your energy levels and put you at risk of developing injuries, life altering conditions, or disease. Maintaining a healthy body weight will increase your energy, your self confidence, and your ability to complete activities. A healthy weight can be achieved through exercise and a diet rich in vitamins and minerals, antioxidants and phytochemicals, protein, fats, and complex carbohydrates. Speak to a registered nutritionist about developing a healthy eating plan catered to your individual lifestyle and favorite foods. Keeping a regular routine of exercise and activity will not only promote weight loss/weight maintenance, but will also make you feel good! Exercise releases chemicals in your brain called endorphins. These chemicals affect your mood and leave you feeling energized, happy, and self-confident. Exercise has been proven to help deal with the effects of depression and other mood disorders. Exercise will strengthen your body to prevent injury and allow you to accomplish all of your physical goals - whether those goals are for athletic activity or being able to lead a normal, active, healthy life. The best way to tackle a problem is to face it head on. To do this, you have to understand what you're up against. It is important to know how you sustained your injury and the effects it is having on your body. This will allow you to take the steps you need to treat your symptoms and prevent further injury. Sometimes this involves modifying or limiting the way you participate in activities. It is important to keep a positive attitude, but sometimes that can be difficult. Focus on your goals and create a realistic plan on how to achieve them. 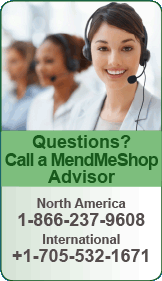 Speak to your physician to fully understand your recovery process. Talk to other people who are experiencing Tennis Elbow symptoms like you. Look at all of the things you can/have accomplished and reward yourself for achieving your goals. Remind yourself that you are in control of your recovery and the commitment to your treatment will help you achieve lifelong health. Golfers Elbow Injuries Not Only Affect the Elbow - But Can Lead to Other Conditions and Injuries. Every time we use our injured elbow - damaged and swollen tendons and muscle tissue move; when they are inflamed, every movement hurts. With injured tissue, pain happens - sometimes a LOT of pain, so we try not to move it. So, when doing something we need to use our elbow for (getting dressed, driving, talking on the phone), we start to use the shoulder and wrist more. If we can, we use our other elbow instead even though it is inconvenient. A couple days later (after purposefully avoiding movement of our elbow), the pain has gone down (as well as the swelling) and this is where the trouble begins! The pain disappeared with the swelling but we still aren't fully healed! Not knowing this, we start using our elbow normally again and then the injury swells up again like it did before - all because the injury wasn't fully healed in the first place. We continually re-injure our golfer's elbow through our daily activities and now this injury has become chronic, continuing to worsen week after week. Eventually, we use the other elbow more and more. This is why the elbow and opposite shoulder start to hurt - they are being overused now. Soon, aches and pain can become commonplace in the upper body - all as a result of the orignal elbow injury and the body's instinctive nature to "protect" it - all because the injury wasn't fully healed in the first place! We continually re-injure our elbow through our daily activities and now this injury has become chronic. An injury to one elbow can easily lead to straining in other areas, making an overall recovery hard to initiate. For example, a serious muscle strain in the right elbow can often lead to over-straining of the left elbow. Most commonly, the injury occurs on the dominant side, so the risk of straining the other (weaker) side increases. The longer the injury (and corresponding pain) persists, the greater the chance that you will sustain more strain from overcompensation, eventually leading to issues in those areas as well. To minimize potential secondary injuries, know that it is important to deal with your tendon/muscle injury quickly and completely. 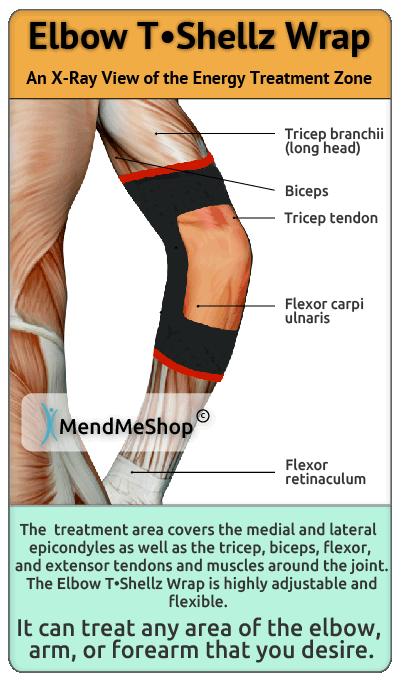 Okay, So I Have an Elbow Tendinosis Injury...What Should I Do Now? Stage 1: If the elbow injury is very recent - use a good quality cold pack and Arnica Pain Relief Cream. Note: If you are suffering from a tendinosis injury that has been going on for awhile, then skip the cold treatment as inflammation will be minimal. 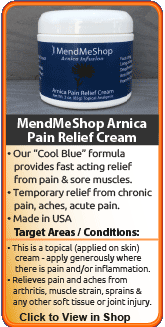 Anytime you are experiencing significant pain, you may find our Arnica Infusion Pain Relief Cream to be quite helpful. If you are experiencing pain and swelling in the very early stages of the injury (first 48 to 72 hours), the first step in a conservative treatment protocol would be to focus on reducing the discomfort by applying a quality cold pack to the injured elbow along with a high quality pain relief cream such as our Arnica Infusion Cream. after any activity that stresses the elbow in a moderate way. It is wise to quickly apply cold therapy to not only reduce the pain, but to also minimize tissue damage that may have occurred during the prior event. If you have a job that requires you to place some demands on your injured elbow. If that is the case, use cold therapy immediately following work and if the opportunity allows - use it for 15 to 20 minutes during lunch or another break time. Even though the concept is simple, improving blood flow to injured tissues can be difficult. When the injury is elbow related, the challenges are even greater. Traditional methods require your muscle to move to promote blood flow (exercise), but that same motion that promotes blood flow can at times lead to making your pain and condition worse. 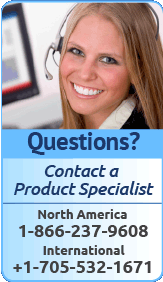 Have you reinjured your elbow by returning to work too quickly? How many times in the past have you aggravated your elbow just trying to perform basic tasks around the home? Is your debilitated elbow preventing you from work or activities you love to do? The real challenge is how do you promote blood flow to the elbow injury site without causing further injury? This goal is further complicated by the fact the elbow (and muscles controlling the elbow joint) are involved in the majority of the physical movements we perform each day. Electromagnetic energy is a form of energy will easily penetrate through clothing, skin, and fatty tissues... directly into your injured muscles and soft tissues within the elbow. After the energy absorbs into soft tissue around the elbow (tendons,muscles,ligaments), the metabolic response then kick starts the repair and rebuilding process. Research is continuing and soon, much of North America will know what the Far East and Europe has known for a long time; electromagnetic energy provides a wide range of health benefits for those not only suffering from tendon injuries, but for many other ailments (plantar fasciitis, bursitis, tenosynovitis, frozen shoulder, rotator cuff damage, muscle strain, etc.) as well. Using a T•Shellz Wrap® will not expose you to the risk of causing further harm to soft tissue like you can when using rigorous exercise. The Elbow T•Shellz Wrap® accomplishes the goal of enhanced blood flow without the need for intensive exercise and as such reduces your risk of re-injury. 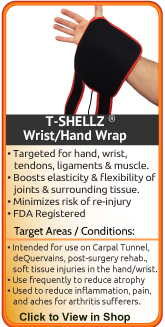 If you have injured tendons, muscle or any soft tissue in your elbow, then the T•Shellz Wrap® will accelerate your healing. If you are dealing with conditions affecting your range of motion such as tendinosis, tenosynovitis, or even arthritis. If you have a chronic elbow condition that has lasted for years- this device will help start the rebuilding process and help strengthen the surrounding and supporting tissues. Many of our past clients had suffered for years, then were completely amazed at the results only after a few months of treatments. If you are still working with an injured elbow, the T•Shellz Wrap® will help relax injured soft tissue prior to work and after a day at the job. If you are suffering from bursitis in your elbow and want to treat the major source of it (secondary damage to the muscle and tendon surrounding the bursa sac). Through overuse or degenerative changes in the elbow, the muscle and tendons surrounding the bursa sacs will tighten and constrict. When they do, they place pressure on the bursa, causing it to become irritated. Applying a soothing and deep penetrating energy to the elbow relaxes the tissues and takes the pressure off the bursa. If you are experiencing atrophy in your elbow and want to reduce the chance of re-injury - this is a perfect treatment to use on a regular basis. If you are experiencing atrophy in your elbow and want to reduce the chance of re-injury while stretching - this is a perfect treatment to use every time before you stretch. T•Shellz Wraps contain a unique Carbon Fiber Energy Pad which is flexible and will shape to conform to your body. This Energy Pad emits a uniform wave of perfectly safe electromagnetic energy over its entire surface. This energy travels deep inside to the soft tissue in your elbow and arm, stimulating blood flow your own body needs to heal your injury. It is the electromagnetic energy that is crucial to the healing process. 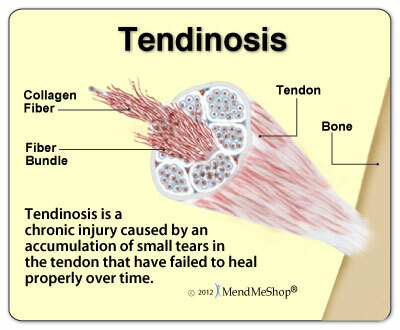 Since you are reading this, you probably know that serious elbow tendinosis injuries do not just disappear. Over time, they usually wreak havoc on your shoulder & wrist due to lack of movement and over-compensation. It will also wreak havoc on your opposite elbow due to overcompensation. Recovery takes a longer time for such chronic (long term) injuries, but proper healing is essential to regain strength and get you back to the activities you enjoy. A Deep Tissue Therapeutic Elbow TShellz Wrap to increase Blood-flow to the injured shoulder (Deep Tissue Therapy Therapy). An Exercise & Stretching Plan to prevent muscle atrophy and shortened tendons. A proper plan will increase elasticity and strengthen the muscles of the wrist, forearm, elbow, upper arm and shoulder of the injured arm. Conservative treatment tools just like these have been used successfully by thousands of tendinosis injury sufferers - just like you. Your injury will heal at an accelerated rate with reduced potential for re-injury. Doctors and Surgeons are always improving the techniques used in surgery, and results from surgery now are much more positive than they were in the past. However, all surgeries introduce scar tissue, and recovery from elbow surgery can be less than ideal and take longer than anticipated. Ongoing treatments to enhance circulation will soothe, relax and promote healing of your damaged elbow muscles and tendons. Elbow T•Shellz treatments will also allow your soft tissue to extend further due to the deep warming sensation created by the enhanced circulation to the treatment area. The more extensibile your tissues are, the less likely they are to strain or sprain. The Elbow T•Shellz Wrap® is a highly effective therapy tool for people suffering from elbow, forearm, upper arm or general elbow injuries - such as muscle tears, tendon tears, strains, tendonitis, tendinopathy, tendinosis, impingements, elbow bursitis, and any pain associated with trigger points, scar tissue, and arthritis in the arm, elbow or forearm. If you're tired of being told that resting, drugs and surgery are the only answers to your elbow injury.... Be optimistic, because there are effective alternatives for you. 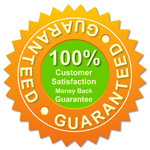 You will not be left in the dark after purchasing any product form us. 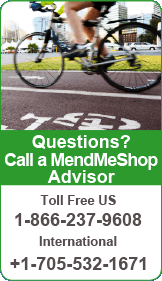 AidMyTennisElbow Advisors and Product Specialists are available 7 days a week by toll free phone or email to answer your questions or concerns. AidMyTennisElbow stands out in this regard as our goal is to help you heal for the longer-term. 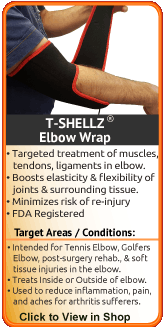 What is the success rate of the Elbow T•Shellz Wraps? Do they really work? 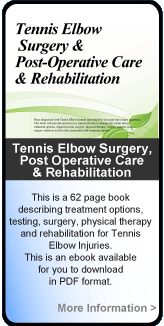 AidMyTennisElbow advisors do not work on commission, so be assured you will only receive fair and objective information. I want to learn more about Elbow Post Surgery. I want to learn more about Whether I Not I Need Surgery.